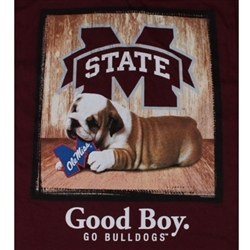 Mississippi State Bulldogs Football short sleeve t-shirt - Best Seat In The House. 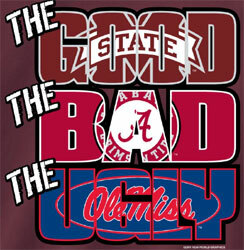 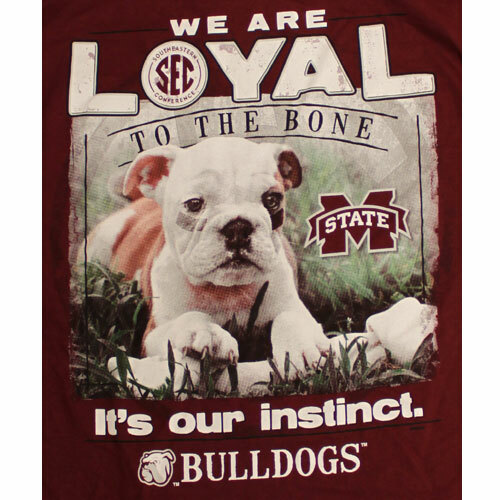 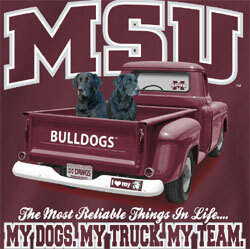 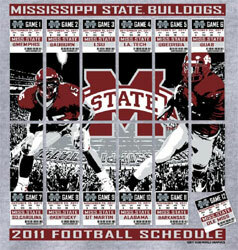 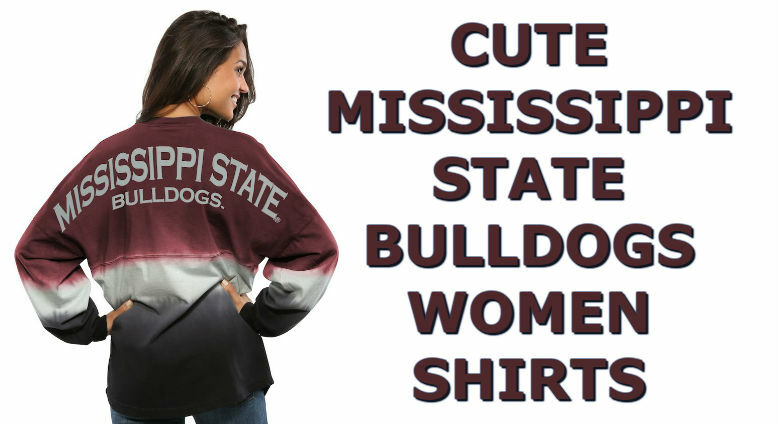 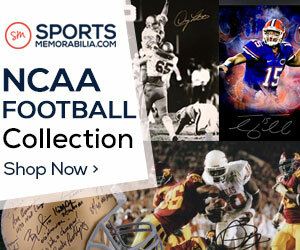 Mississippi State Bulldogs logo on front left chest 3 inch of t-shirt with saying, Making A Stand in The SEC. 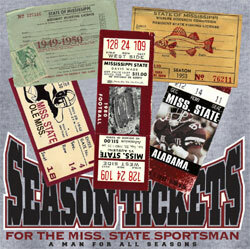 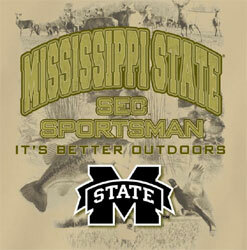 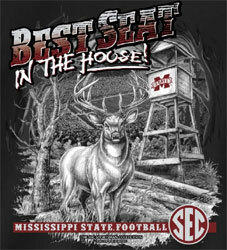 Big image of deer buck tree stand on back of t-shirt with saying, Best Seat In The House Mississippi State Football.